A bid to convert a vacant office building in a Preston conservation area into affordable apartments is being considered by council planners. Developers have applied to transform a four-storey block on Walton’s Parade into 17 flats. It follows a recent influx of proposals to convert commercial space in the city since the launch of Preston’s City Living strategy. 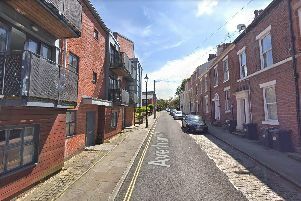 The development plan includes a two-storey rear extension with the majority of the apartments earmarked as one-bedroom properties. Authority bosses outlined their City Living scheme last year hoping to trigger a boom in residential development, primarily for young professionals. Several large scale bids have been submitted since, including plans to convert the Red Rose and Elizabeth houses in the city centre into more than 100 apartments.